We looked at branding in a Big Issue feature on the site two years ago. But, with so many new businesses entering the market since then, existing ones relaunching and the phenomenal rise of canned beers providing a broader canvas upon which brewers can set artists and designers to work, it's timely to revisit the topic. In the first of a two-part series by the site's trio of WA writers, Guy Southern delves into branding – what works and why we choose what we choose – and Pia Poynton catches up with the Cheeky Monkey team to find out more about their recent rebrand. Tomorrow, Ross Lewis chats to a pair of designers responsible for some of the country's most eye-catching cans. It’s Friday night, the ragged end of another blurred working week that will soon have a large and welcome full stop stamped upon it by the first sips of a freshly purchased beer. But between you and those first sips remains one last obstacle. Standing fatigued in front of an increasingly kaleidoscopic array of beers at the local bottleshop, what do you choose? An old favourite? Something new? Something for the catch up with mates on Sunday? Something you saw on social media that’s now half remembered? New retail research out of the USA by Nielsen suggests that 70 percent of the time you’ll buy something that looks nice. Furthermore, marketing website Hubspot says you’ll probably spend less than ten seconds making that choice. In the context of the Australian marketplace, in which recent stats from the Independent Brewers Association reveal independent breweries generate close to $300 million dollars in sales revenue per annum, that’s a lot of swift retail decisions made on the way home that could influence whether a brewery remains in business. The question of capturing your customers is one Steve Henderson, founder of now defunct brewing company BrewCult, posed recently in this publication, highlighting the brutal reality of branding and the business of beer. With short customer attention spans and increasingly broader choices on offer, it makes developing a brand heuristic – a mental shortcut – that leads a customer to buy your beer over someone else's increasingly important. Over time, these heuristics create repeat purchases, brand loyalty and advocacy from customers, all of which are important because, depending on which survey you read, it is five to seven times more expensive to attract a new customer than to retain an existing one. Loyal customers are also 60 to 70 percent more likely to purchase a new product than new customers so it makes business sense to get it right. Returning to the fridge doors as you choose your Friday night knockoff, the aforementioned Nielsen report goes on to state that the design of the six-pack carrier and information about where the beer was produced have greater influence on your purchase than the logo. 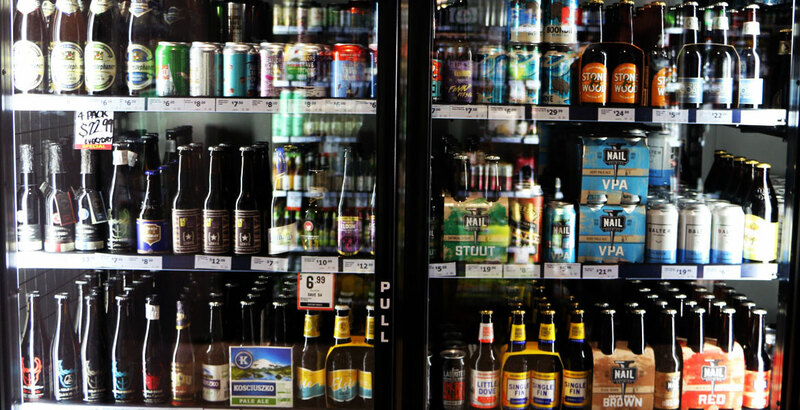 Beyond that, the increasing popularity of cans in the Australian craft beer market could eliminate the six-pack holder all together, thus putting greater emphasis on can design to increase the likelihood of a beer being considered, let alone purchased. With so much at play and so much at stake, we approached two Australian creatives leading the design charge and the managing director of a brewery that has recently rebranded to find out more. Lauren Bonkowski is a graphic designer at Two Poles Apart, a branding agency for the hospitality industry whose clients include Pirate Life, Dainton Family Brewing, Starward Whisky and West Winds Gin. 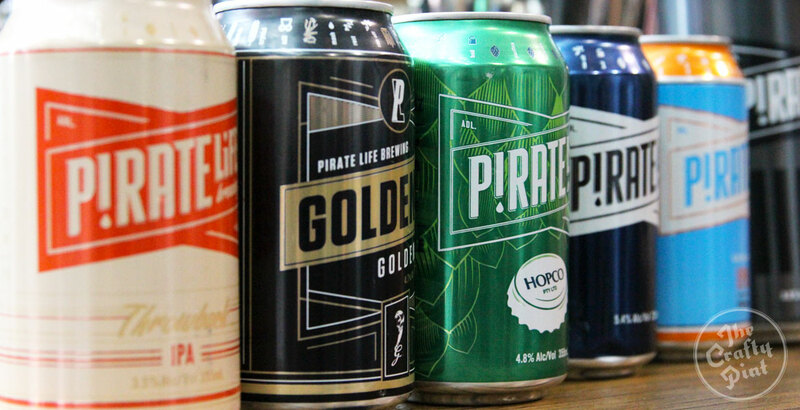 Her work with the first of these, in combination with their choice of beer styles, quality and approach of the brewery, mean the arrival of Pirate Life may well come to be seen as a tipping point in Australian can design. The Adelaide based brewery's strong brand presence evokes both the iconography of surf culture labels as well as those of classic beers and, outside the brewery's own remarkable success, helped build customer belief in cans and breweries' optimism about their potential. Joel Pember is a creative director at Juicebox Creative and recently worked with Feral on its Brewed By Instinct brand evolution and the Perth Local can. 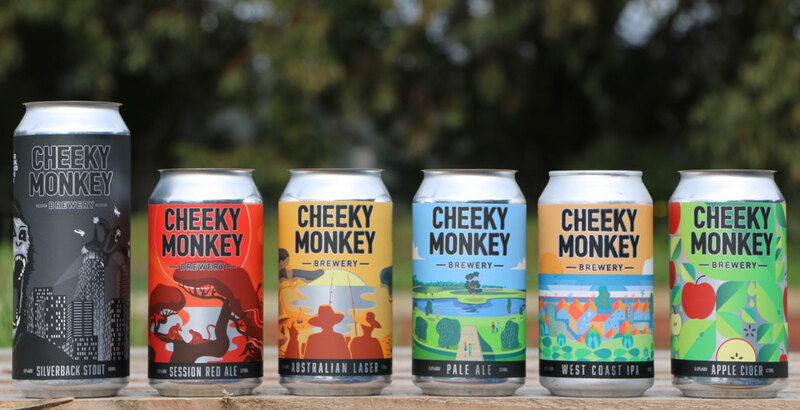 And Brent Burton is managing director of Cheeky Monkey Brewery & Cidery, the Margaret River based operation that, after being in the can market for some time, has rediscovered its identity through new design. Before diving into beer branding, beer can design and why it’s important, we need to ask why we purchase in the first place. It's quite the rabbit hole but, in very simple terms, a customer travels through three time zones of purchase. First is the awareness of purchase need and research stage. Second is purchase and use stage. And third is the evaluation of satisfaction. There are many factors that influence these stages, and the customer experience during each of them directly affects current and future purchases, not to mention the post purchase evaluation of satisfaction. Furthermore, smartphones allow customers to share their experiences and satisfaction, which can directly influence other potential customers. Ultimately, what is sought is meaning but what is being measured is value: did I get what I expected measured against what I spent, my time, what the product said that it would do, how I thought I would feel and so on? Of course, this is all incredibly subjective but, from a brewery's perspective, having a clear idea of who you are makes it easier for others to know what you're about. This, in turn, increases the chances of a customer making a purchase as well as their subsequent enjoyment and satisfaction. Conversely, if a business doesn't understand who or what it is, or fails to represent itself well or honestly, how can a customer be expected to connect with it? As Joel explains, this is about making easy connections – heuristics – and part of a broader search for identity. “I think that every brand has a narrative, has a story that we as humans want to be a part of and try to connect to emotionally," he says. "Product releases are exciting parts of chapters of those stories and, as they get released, you just want to turn the page and keep going with it, you want to be involved; it’s community, you share it with your mates and talk about it. “If we rewind the clock 20 or 30 years, it used to be grab a slab and throw it on your shoulder, drink a shitload and commit so hard to one brand that you drink 30 of them on the weekend and only ever drink that. You were part of a tribe that all agreed that ‘a slab of this’ was just the way that we did it. For the average consumer this makes sense even if you aren’t aware of it – modern life has evolved consumption into a search for identity rather than a mere fight for survival. So, as a brewery, how do you get customers to identify with your beers? A weekend reading the Craft Beer Branding Guide (it’s a real thing) and tooling around on Canva (another really awesome thing) will only get you so far. The cold business reality is that, although a brewery may think it’s a unique brewing snowflake, unless it’s able to communicate this authentically, consistently and effectively – under ten seconds at the point of purchase – it's likely to become irrelevant. Put simply, for most customers there is too much choice. Yet getting it right is about more than good quality beer and a flashy logo, as Joel explains. “Branding is all about from the inside out. It always has to be meaningful. If you’re just slapping aesthetic onto things and not really thinking about why you are doing it and you are trying to be something that you’re not consumers can see through it. "You can’t just make it look like something," he says. "That’s not enough because there’s another hundred options. 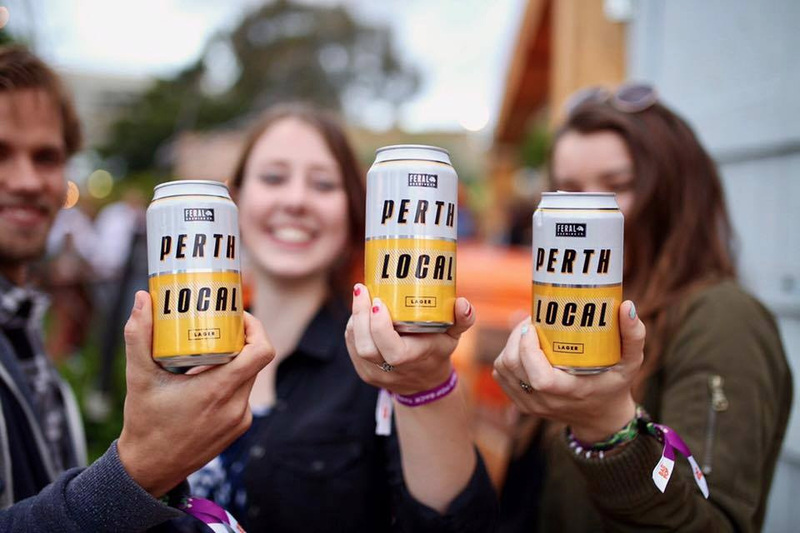 “Take the Perth Local (pictured above) as an example: you’re standing at the fridge and you’d look at that and you’d see the little Feral logo and it’s only tiny – that little mark is carrying the brand equity of all of the core range and everything else that’s preceded it, every story, and award. But it’s also communicating that we’re a ‘red can’ lager – go and enjoy and smash heaps of these. Don’t overthink it, put a six-pack in the boat and just go out. “Whereas, if you didn’t know Feral, you’d have to let all of that go and, sometimes, when new beers rock up on to the shelf and there’s no story preceding it then you’re relying on visual design, you’re relying on aesthetic. You’re picking it up and making a decision on the information and aesthetic that’s shown to you at that point." “Good packaging grabs your attention," she says, "then hopefully the brand is constructed in a way that it gives clues to visually convey who you are, what you’re about, and what to expect out of the product. "Everyone loves learning; empower consumers with information that they can share with others and let them sell your product for you. Word of mouth is far more powerful than any advertising campaign. Give insight into your provenance, your sense of humour, your history or your brewing nous. Such thinking helped drive Cheeky Monkey's recent rebrand. “We were one of the first to introduce cans into WA, soon after Colonial," says Brent, "and we saw new entrants to the market which made me think we needed to step up our game. There are some class acts out on those shelves, and to compete with those we needed to refresh our branding. I guess watching others like Pirate Life explode onto the scene made us re-evaluate our strategy." Another catalyst was the positive reaction they received for the design of their limited release Imperial IPL cans, by Tim Kerr of Brain Storm Design. 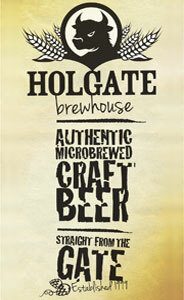 “The response we received from that branding and style of beer was phenomenal. From that point I knew we had to re-brand and that was about 18 months ago so it's been a long journey from concept to reality." At the heart of the process was capturing the culture at the brewery and restaurant, one he says "revolves around having fun at work while maintaining high quality products and being professional. We’re a young bunch of enthusiastic monkeys who love craft beer. The result was a range in which each label tells a different story: the Pale Ale shows the view from the beer garden, a familiar sight to anyone who has been to Cheeky Monkey; the Australian Lager features what Brent describes as “classical Australian behaviour” with mates camping out, fishing and man’s best friend at their side; the Session Red Ale depicts a fire red sunset with two “cheeky” monkeys hanging out and so on. As they made their way through the process, Brent and his team found there were additional positive effects too. “We established a new brewing philosophy, which we talk about frequently, as well as what the brand represents," he says. 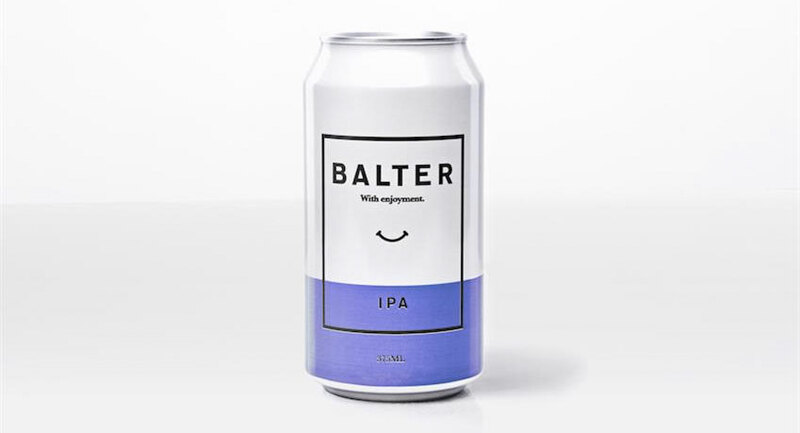 So, once the brand identity is considered and the beer has been brewed, the packaging is the final retail vehicle with which to present your hopes, dreams, blood, sweat and tears to the consumer. And here, for all the positives surrounding it, the resurgence of the humble aluminium can has created new challenges. “Printing limitations on the production side of can printing has forced designers to think differently," says Lauren. "There are a slew of print effects that help packaging designers make labels pop on paper bottle labels that just aren’t possible on cans. It’s meant a lot of simplification and a lot more bold colourful design. With the increasing pace of change and competition, it might be tempting to move with the times to remain relevant. However, Lauren offers caution. “Reviewing where you’re at is fantastic, as long as you’re doing it because you have evolved and have something new to say. I talk to companies who see the success of other brands and make moves to align with that fashionable style. It may boost sales briefly, but it’s not going to ring true to who you are, or have longevity. So what makes good can design in 2017? “Legibility is key," says Lauren. "Your brewery name is important, but if the customer can’t work out what is in the can in two seconds you’ve probably lost them. "Find a line between simplicity and insight. Keep it simple enough for crucial information to be clear. Men, especially, base much of the decision making on ease – how quickly they are able to read what beer it is. If they struggle to find the information that they need you’ll have lost many straight off the bat. That said, reward those who want more from you and sneak in your personality wherever you can." There’s a lot to consider and it’s probably more than many breweries or any small business think of when bringing a product to market. What is clear, however, is that, with increasing competition and limited shelf space, getting branding right has become more important than ever. “The moment that you decide to take a draught beer and put it in package is the moment that you think that it’s worthy," says Joel. "And then you put it up on to the shelf and that’s the ultimate test: is it going to sell? About the authors: Guy drinks and writes about beer, goes for a run most mornings and makes his own chilli hot sauce. Find out more on Goodtimes Craft Beer via Facebook and Instagram. Pia Poynton is the girl behind girl + beer on Twitter. You can check out Pia's recent article on a presentation on branding from this year's Australian Craft Brewers Conference here.